If you are a parent and looking for fun apps for your kids, we have covered some great choices for you in not one, but two webOS app round-ups. 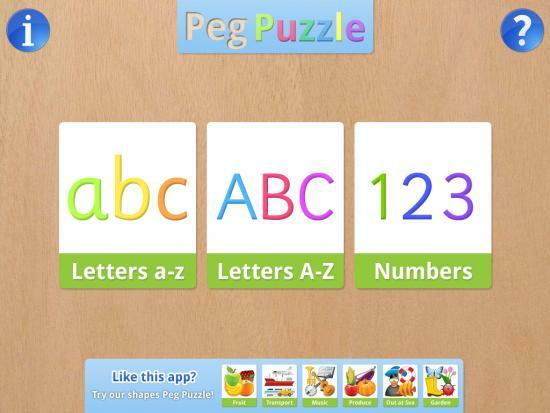 In addition to those apps, we also want to take a look at a pair of Peg Puzzle apps from Pulse Apps. Just as their name implies, Peg Puzzle abc 123 and Peg Puzzle Shapes are reminiscent of those wooden peg puzzles toys, just with a little different twist that you can't get with a physical piece of wood. These apps are available on the TouchPad and normally run $1.99, but are currently on sale for $0.99 for the summer. Both app are set up in a similar way. First you choose your puzzle category and then you have to match the six pieces of the puzzle from among the available pieces that are displayed across the top of the screen. Peg Puzzle abc 123 allows you to choose lowercase letters, uppercase letters, or numbers, while Shapes give you 8 themes (such as fruit, transportation, or music) or a random option that combines all the categories. The apps differ slightly in their gameplay in that abc 123 will give you 6 letters or 6 numbers (from 1 to 20) and you have to scroll through the entire alphabet or numbers to find a match, while Shapes presents you with one shape at a time just rotated 6 different ways, giving your children different skills to hone between the two apps. In addition, abc 123 will also speak out the letter or number as you select it and drag it down to the board. In this year of 2012, technology is everywhere. We have more processing power in our pockets than we did in entire offices just a decade ago. We have robot vacuums and minature digital cameras and anything and everything that we can justify attaching a laser to we do. Flying cars can't be far off. And yet, we still find our businesses and governments relying on a most antiquated of technologies: the fax machine. We're busy people, we don't have the time to run down to the nearest FedEx Office to send a fax. 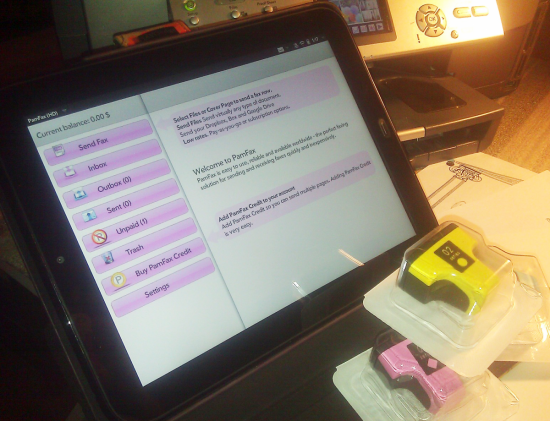 Thankfully, to assuage our antiquated communication needs, there's a handy TouchPad app available: PamFax HD. 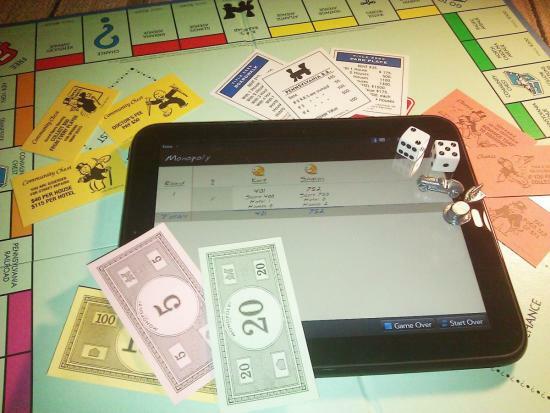 There's something to be said for playing a real physical board game. The feel of the dice, the satisfaction of moving your pieces, being able to ponder the board in front of you and how best to proceed. But there's something that's not so satisfying: keeping score on a sheet of paper. But, as they say, there's an app for that: Tallier. Made by Ewac Software, Tallier is a basic score tracker at its core, but it offers much more beyond a simple tally. Sometimes you just need a quick classic game to fill some idle time in your day. In the old days you'd grab a piece of paper and set up the four lines for tic-tac-toe, or if you were feeling particularly ambitious you might lay out a grid of dots for a game of dots-and-lines. 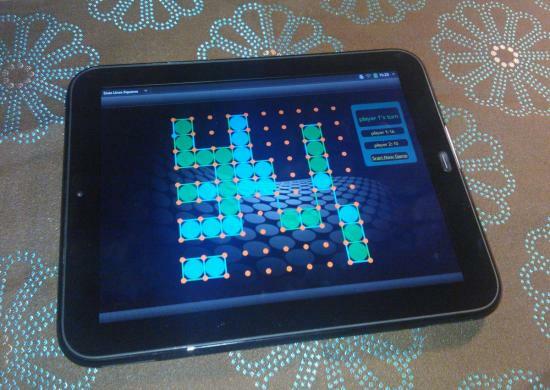 Thanks to the magic of tablets, you can make a quick game tic-tac-toe happen, or if you're in that particularly ambitious mood you can turn to Dots Lines Squares for the paper classic. Technology has come a long way since the digital media was first introduced with the Compact Disc. Not only are our devices even smaller, let alone that boom box you used to carry on your shoulder. In today's digital age things have advanced beyond shelves of CDs to piles of apps to manage the myriad sources for our digital consumption. Developers have taken great strides to make it easier and to share your media across many platforms and across various networks. Remember when you used to tell your mom you’re going to the multiplex down the street with friends? 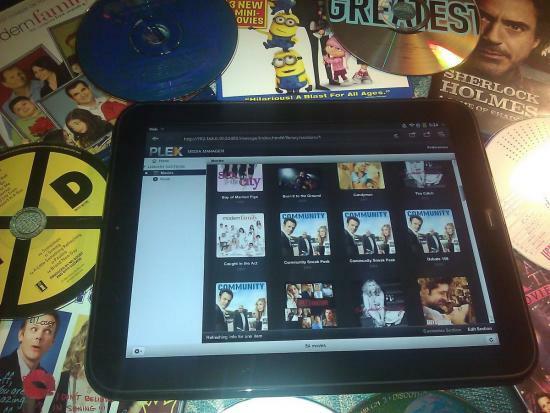 Now you can tell her you’re going to the Plex on your TouchPad. 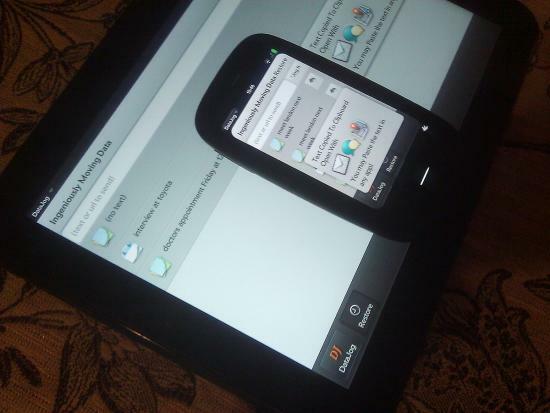 A few weeks beack we took a look at some of the best apps to sync your webOS device with your more traditional computing devices, but we didn't touch on all of them. There's one that isn't really a syncing app, it's more of a fling-files--and-stuff-through-the-air app. It's DataJog's Send to webOS, an ingenious system that makes getting all sorts of data, be it files or raw text, back and forth thanks to the magic of the internet and webOS. What do you think of when you think of a taskmaster? You think of someone that constantly challenges you to do a certain task. You can picture someone who cracks the whip driving you to meet results for a specific deadline. They push you and push you, and usually show no mercy. But lucky a developer by the name of Rashi has made such issues a little easier to handle. 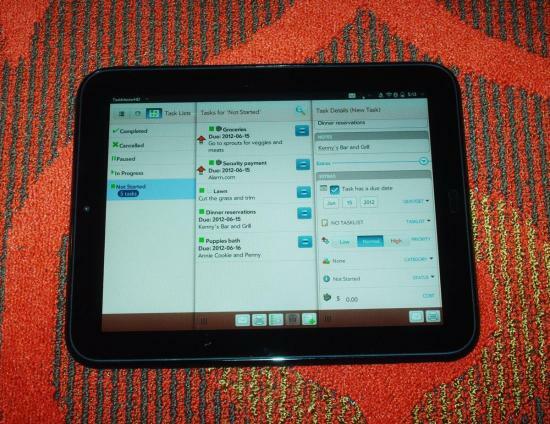 TaskMaster HD, originally made for webOS smartphones, takes list making to another level. Sure there are other task or note taking apps available for webOS, but what this does specifically, especially if you have an a Type-A personality is define those details. Right down to costs, time, and date associated with the chore. And it works. Road trips are always fun and a great way for families together. But getting to your destination isn’t always a pleasure. You always have a tiny backseat driver trying to distract you while you manuver through minivans, RV's and motorbikes. Wish the shoe was on the other foot? We may have the solution for you. 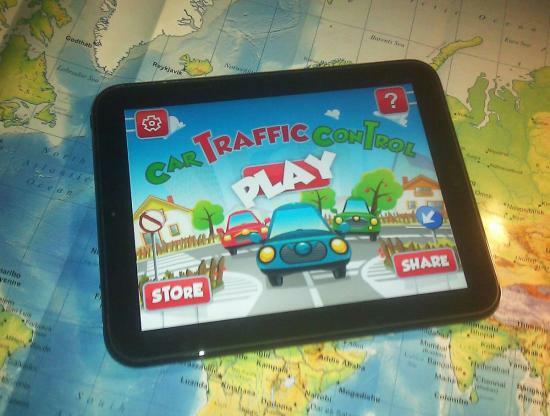 So while you are busy trying to not entice road rage or an accident, give your kids a game so they can see what it’s like to control a car in traffic: Car Traffic Control. Being a webOS fan can be a bit of a hard pill to swallow as the number of apps on other platforms continues to grow. Even Microsoft's Windows Phone has recently hit the magic 100,000 app mark. Granted, sheer numbers aren't everything, but within these numbers there are apps for services that we have never and probably will not see in the near future on webOS. One of these services is the ever popular photo sharing service Instagram. In case you haven't heard of it, Instagram is an extremely popular social photo sharing service that Facebook just purchased for a whopping $1 billion. 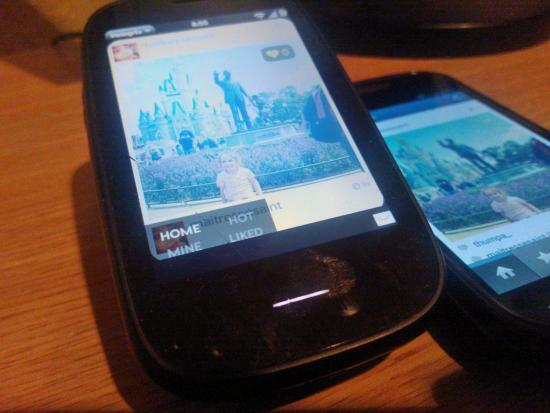 Originally available only on iOS, Instagram fever spread onto Android in recent months. With Android and iOS being the only two platforms to have a legitimate Instagram app in the mobile space, all other platforms (including webOS) have been left shivering in the cold, filter-free wilderness. However, that hasn't stopped some of our hard-working developers from trying to deliver at least a little bit of the Instagram experience to us. This is where Instagrio from developer Tsung Wu (@ioNull on Twitter) comes into play - this app is an Instagram viewer only (no uploading your own photos) but it at least delivers part of the experience of the popular Instagram service to webOS users in a really nice package. Some games are good time sinks, taking up hours upon hours of time. Others are good for a few minutes here or there when you've got just a few minutes. And a few bright games fall into both camps, good for the quick round or whiling away the hours you should be spending working. 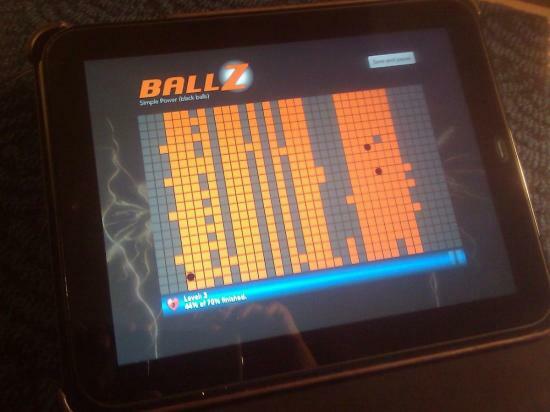 We've come across a new game in the App Catalog with the unassuming (and admittedly vague) title of BallZ HD. When the description said it was good for everything from the original Pre and Pixi to the big-screen TouchPad, well, we couldn't help but take a look.